Many people seem to feel that China is taking over the world. At one time they were indeed the most sophisticated culture in the world. With their diaspora, the Chinese have spread much of their culture to most corners of the world and in one way or another seem likely to have a dominant economy and culture. Chinese food, fireworks, martial arts, cheap goods and movies. Although we think of the Chinese as monolithic there are many elements such as language that differentiate them. When one talks of Chinese movies we should include Hong Kong (which although legally part of China has a distinct history) and Taiwan. Cantonese and Mandarin are the two main languages you will encounter, but there are other languages and dialects. Chinese directors, actors and others have performed in the rest of the world. One wonders if it is all just propaganda any more so than what we subject ourselves in front of screens already. Any country wants to represent itself in a positive manner. In watching a wide range of movies I was struck by two things. The Chinese deal with the same issues and concerns of the rest of us such as love, war, cheating, grief, etc. Secondly there are many elements of self examination to be found in their movies. We can enjoy their movies for entertainment, but also learn something of their perspective. Ang Lee seems a good place to start. His family came to Taiwan fleeing the Maoists that killed off most of his father's family. After graduating from local school came to America to study film making. He was an assistant director for Spike Lee's master thesis. For six years he was a stay at home parent supported by his wife. Much of his fame rides on Hollywood films, but he did a number of Mandarin films. "The Wedding Banquet" in 1993 portrayed a Taiwanese homosexual man marrying to satisfy his traditional parents. 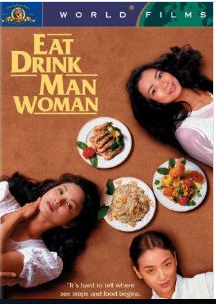 "Eat Drink, Man, Woman" of 1994 with one of the best food preparation sequences at the beginning is set in Taipei. A DVD special feature gave a lot of personal history. 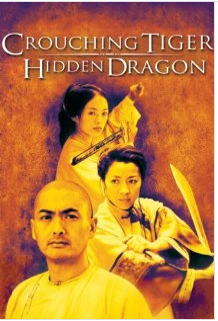 His fame was established with "Crouching Tiger, Hidden Dragon" starring Yun-fat Chow and Michelle Yeoh as a Mandarin martial arts film which became the highest grossing foreign film released in United States. Another Mandarin language film was "Lust! Caution" (with Tony Chiu Wai Leung) which was sexually very explicit as Ang felt it was necessary for a desired dramatic effect. World War II intrigue in China. He has made a name for himself in Hollywood with such movies as "Sense and Sensibility", "Brokeback Mountain" and "Life of Pi". He helped persuade Ann Hathaway to except a role as Jane Austen in another film. Although probably best known as a director he has also written scripts and produced films. Another well recognized Chinese film personality is Jackie Chan. Born in Hong Kong, Jackie speaks Cantonese, Mandarin, English and English sign language. He developed a reputation for martial arts, choreographing and doing his own stunts. He has a very deft sense of humour that endears him to people like me who are not fond of martial arts. 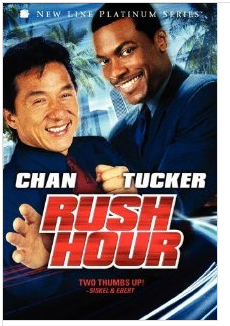 He did his first American film in 1980, but his first blockbuster American success was "Rush Hour" in 1998. He has done numerous martial art films in the Hong Kong Cantonese market. Another director who caught my attention was Wai-Keung Lau who in 2002 did "Infernal Affairs" a very interesting movie starring Tony Chiu Wai Leung and Andy Lau and was later adapted by Hollywood as "Departed" which won an Oscar. "Beautiful Life" in 2011 was a beautiful love story. John Woo, has had an impact in China and Hollywood. After directing a few films he developed a niche in violent action films. "The Killer'"with Yun-Fat Chow attracted Americans where he now makes most of his films. John has been affected by the Tianemen Square massacre and was able to make a few references to it in his films. One brutal film produced by John that I thought was excellent was "Warriors of the Rainbow: Seediq Bale" set in Taiwan concerning how the indigenous natives dealt with Japanese rulers before World War II. In the U.S he directed "Face/Off", and "Windtalkers." Recently he has been involved with "The Crossing" which tells a story of the exodus from China to Taiwan. which is something to look forward to. Yun-Fat Chow is a Chinese actor with influence in China and Hollywood. Known for action films such as "The Replacement Killers" he nonetheless starred in "Anna and the King" with Jodie Foster and "The Children of Huang Shi" and "Shanghai" with John Cusack and Li Gong, "Confucius" made in 2011 seemed a good fit. China has almost always had great respect for Confucius, but there was a time when the Communist regime tried to bury him. Mai Hu, a woman director also wrote the script for this blockbuster movie. "House of Flying Daggers" released in 2006 with Ziyi Zhang, Andy Lau and Takeshi Kaneshiro and "Curse of the Golden Flower" directed by Yimou Zhang with Yun-Fat Chow and Li Gong doing martial arts in a gravity defying artistic manner. Li Gong has also appeared in "Shanghai" and "Memoirs of a Geisha". "Chungking Express" released in 1994 directed by Kar Wai Wong and starring Tony Chiu Wai Leung and Takeshi Kaneshiro . The cinematography was very unique. You will recognize a popular American song, "California Dreaming" played repeatedly. "Sophies Revenge" released in 2009 disappointed me a little, but ok. Like everyone else the Chinese (at least some of them which means hundreds of millions) like romance and a few laughs. Li Gong played lead character. I am aware there are many more and reportedly better examples. "Iron Road", televised in 2008 brought home the awareness that one of our most proud achievements (the national railroad) was accomplished on the backs of Chinese workers who were treated poorly. Brought over Sun Li for the lead role and Tony Leung Ka Fai for a supporting role. "Balzac and the Little Chinese seamstress" released in 2002 deals with re-education in Maoist times. Amongst those being re-educated, Western literature in translation is a strong lure for some people. Dubbed films were tempting me as Chinese dialects unlike some European dialects have almost no resonance with me. The cadence of each is distinctively different. Subtitles, sometimes are confusing, but still give understanding and seem more natural. China has been hit with criticisms for such as censorship, political repression, currency manipulations, worker exploitation. Any culture is subject to criticism and it seems developing into a world power requires some dirty tricks. I hope that as China matures we can all benefit from the many good things that have come from them. In the end whether we like it or not the Chinese are likely to have even more impact on our lives. Reading books and watching movies are two ways to boost your understanding. For me there are a few more Chinese films on my reserve list I look forward to, but at some point this blog needs to be finished (and read).